"GMO" is an abbreviation for "Genetically Modified Organism", a non-scientific and confusing term used widely in popular media to refer to plants and animals improved through techniques of modern biotechnology and to distinguish them from crops and livestock. "Genetically engineered/modified organisms, and products thereof, are produced through techniques in which the genetic material has been altered in a way that does not occur naturally by mating and/or natural recombination." But there is no "GMO", nor any living organism that meets this description. Genetic modification is literally the essential feature of all life on earth. Every GMO ever produced was derived using enzymes and techniques discovered by researchers who found them in nature. Genetic engineers figured out how to do what they do by studying the natural world, understanding it and learning how to emulate it. Researchers have discovered that the movement of genes between different lineages is commonplace and widespread. We see it in organisms such as corn and sweet potatoes with which we are very familiar, working in ways we never imagined. It is, in fact, a feature of our own, human, genetic makeup. We are all "GMOs" as is every organism on Earth. This has important implications. It means that every effort to distinguish "GMOs" from other organisms is factually incorrect. It also means that government "safety" regulations that focus on "GMOs" as distinct from "non GMOs" are scientifically indefensible and based on a profound misunderstanding of biology. They are also illogical for another very important reason. Precision breeding adds only one or two genes of known and well understood form and function to a familiar crop variety or livestock breed. This makes it simple to identify and manage any surprise that might occur, dramatically enhancing the safety of the process and the product. Conventional breeding, by contrast, cannot avoid introducing hundreds or thousands of extraneous genes along with the one of interest and sometimes deleting whole chromosomes. This dramatically increases the potential for surprises, some of which may actually present hazards. This is why, for example, after funding 130 research projects over more than 25 years by more than 500 independent research groups, the European Union concluded "that biotechnology, and in particular GMOs, are not per se more risky than e.g. 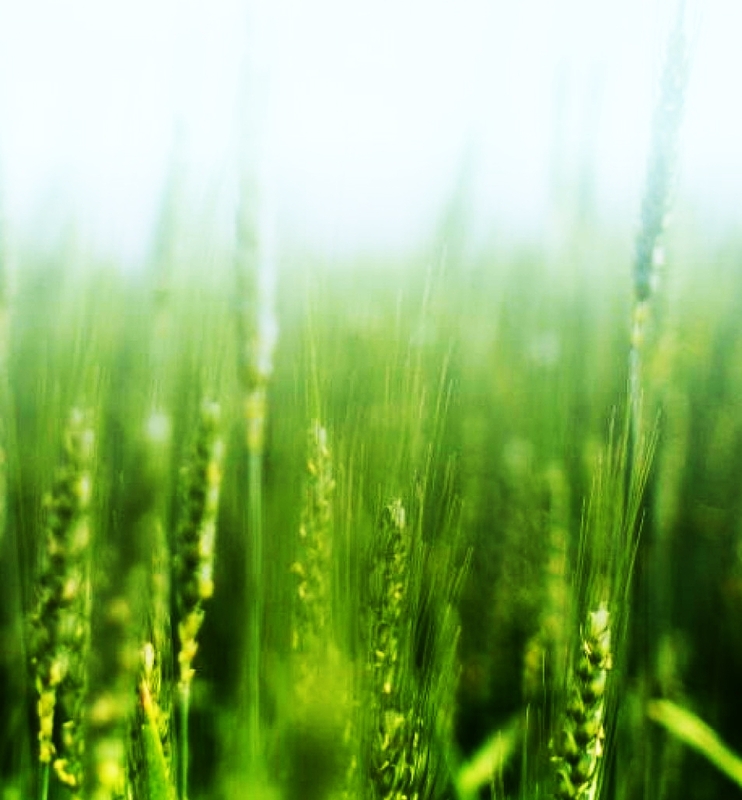 conventional plant breeding technologies." 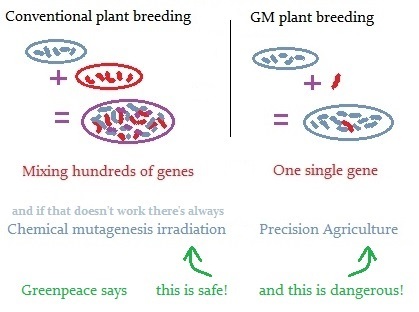 The power of modern precision breeding is further amplified because biotechnologists can add a gene imparting a useful characteristic (disease or pest resistance; nutritional supplementation, etc.) from virtually any other organism (thus highlighting the very real value of wild biodiversity and strengthening the arguments for its conservation). By contrast, conventional breeding can only use genes already existing in the crop variety of interest, or in closely related, sexually compatible varieties. In other words, the truth about GMOs is the opposite of what you would think from reading the popular media. They are produced with methods that are more precise, predictable and controllable than historical methods long accepted as safe. As we have seen, they are as safe as, or safer than alternative techniques and products. They are more efficient and thus better for the environment than competing products, including organics. Data and experience show they may be one very important key to a greener, more sustainable future.